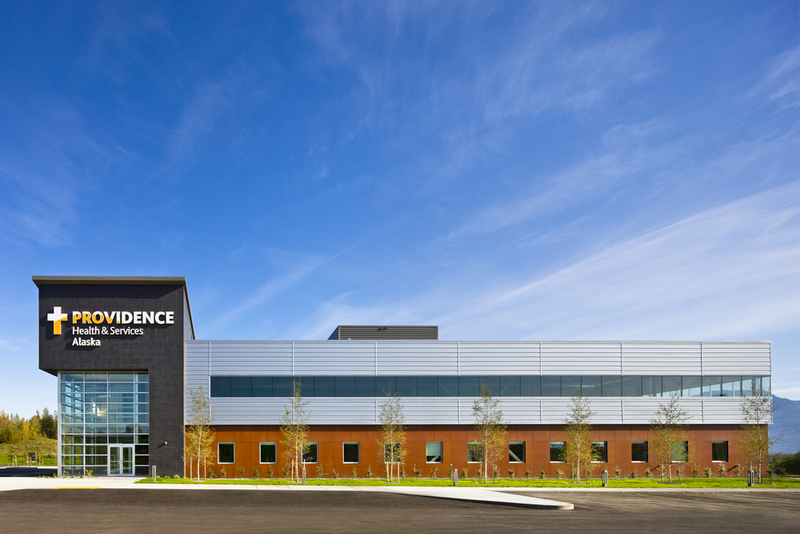 KPB Architects teamed with Howdie Inc. General Contractors to design and construct a 30,000 square-foot clinic in close proximity to the existing Mat-Su Regional Medical Center. 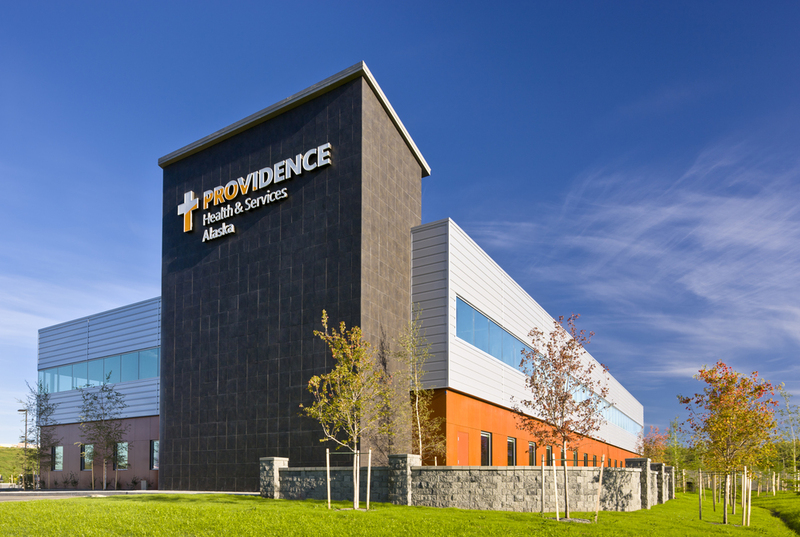 Adjacent to the Parks Highway, the building houses the Providence Matanuska Health Clinic, Outpatient Lab, Providence Behavioral Medicine Group, a small Center for Child Development (day care) facility and a few other tenants. The building is designed and sited specifically for extreme visibility to vehicular traffic along the Parks Highway. The exterior color/ material palette match Providence’s Eagle River building, presenting a unified “branding” concept to the public. KPB Architects received conceptual design approval from the Providence Real Estate department for the efficient building core and shell layout. In addition, KPB Architects met with prospective tenants and worked with them through the tenant improvement design process, from programming, room adjacencies, layout concepts, and interior finish and furniture selections. The first floor clinic contains 31 exam rooms, healthcare provider offices and support spaces, including a lab. The outpatient lab shares their lab space with the health clinic to increase cost efficiency. The second story is occupied by the Providence Behavioral Medicine Group, which includes offices for nine healthcare providers as well as group rooms and a play therapy room for sessions with children.